Egg devil is a Bengali snack recipe. It has boiled egg cut into half and then coated with a layer of spicy potato mash , which is gives it a Large whole egg shape and hence the name Egg Devil. 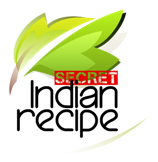 Besan (gramflour) – 4 tablespoon. Method - Boil the eggs and cut them into half. Boil the eggs and cut them into half. In a bowl take besan, maida, a pinch of red chilli powder, turmeric powder and salt and make a thick batter. Heat two tablespoon of oil in a karahi and add mashed potatoes, red chilli powder, turmeric powder, garam masala salt and sugar and fry for 2-3 mintues. Take a half egg and coat it with potato mash to give it a whole egg shape. Follow the process and make four egg devils. Heat oil in a wide pan. Dip each egg devil in besan batter and then roll on bread crumbs. Fry egg devils till they turn golden brown. Serve hot with chilli dip. It taste good when hot so always warm it in microwave before serving.